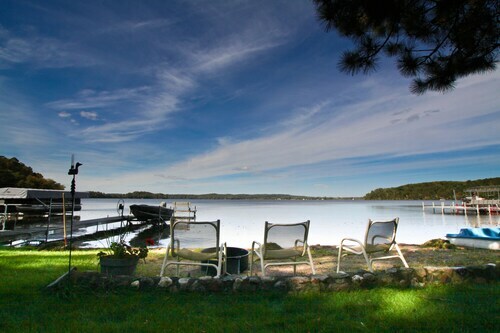 Expedia East Gull Lake vacation packages will help you save money! Bundling your bookings will give you more spending money for your awesome vacation. Smart vacationers who book a package deal on Expedia will save up to C$590*. There's no need for you to search a bunch of different websites for your travel needs. With more than 400 partner airlines and 321,000 properties around the world, our extensive database has all that you need. We've got all the sightseeing info you require for your impending trip to East Gull Lake. Grab your organizer and get ready to start filling up that itinerary. Getting out on the fairways is a great way to stretch your legs and have a blast. Challenge your skills with a friendly round at The Classic at Madden's Golf Course. Still got some time on your hands? Watch the clouds roll on by in the reflection of Gull Lake. Its mirror-like surface makes for an impressive view — particularly on a sunny day! 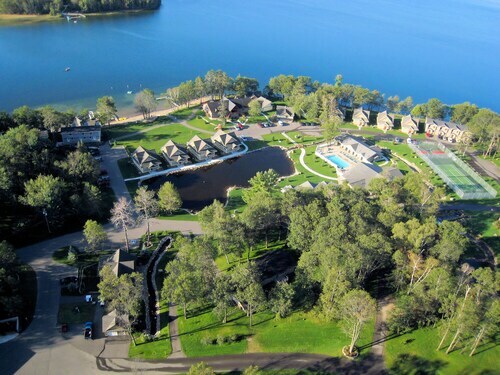 Sadly, there aren't any accommodations right in the middle of East Gull Lake. Though, you'll locate no less than 2 properties within an easy commute. Cheap vacations and luxury getaways — Expedia is where you need to be. From the Maddens On Gull Lake (11266 Pine Beach Peninsula) or the Cragun's Resort & Hotel (11000 Craguns Dr), you can explore everything this neighborhood has to offer. From the very minute you finally exit the plane at Brainerd Lakes Regional Airport (BRD), you'll know your extraordinary trip to East Gull Lake has well and truly started! Well, the center of the neighborhood is still about 10 miles (16 km) away, but near enough. 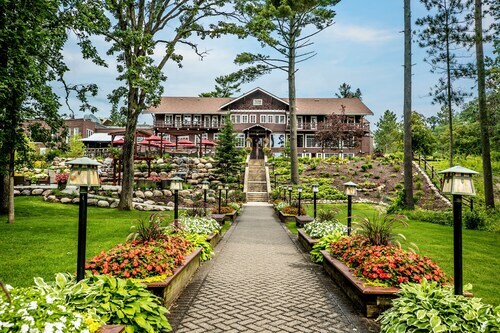 Nestled on the beach, this Brainerd hotel is within 2 mi (3 km) of Legacy at Cragun's, Cragun's Legacy Courses, and The Classic at Madden's Golf Course. Brainerd International Raceway and Mount Ski Gull are also within 9 mi (15 km). This family-friendly Brainerd resort is within 3 mi (5 km) of The Classic at Madden's Golf Course, Legacy at Cragun's, and Cragun's Legacy Courses. Mount Ski Gull and Brainerd International Raceway are also within 9 mi (15 km). Located in Brainerd, this beachfront resort is next to a golf course and within 3 mi (5 km) of The Classic at Madden's Golf Course, Legacy at Cragun's, and Cragun's Legacy Courses. Mount Ski Gull and Brainerd International Raceway are also within 9 mi (15 km). Situated on the beach, this cabin is 1.9 mi (3.1 km) from Cragun's Legacy Courses and within 6 mi (10 km) of Legacy at Cragun's and Brainerd International Raceway. The Classic at Madden's Golf Course and Northland Arboretum are also within 12 mi (20 km). Gull Lake Gold Coast! Sand Beach, Sunsets, Dock, Fishing, Water Sports! Situated on a lake, this vacation home is 2.9 mi (4.7 km) from Brainerd International Raceway and within 6 mi (10 km) of Cragun's Legacy Courses and Legacy at Cragun's. 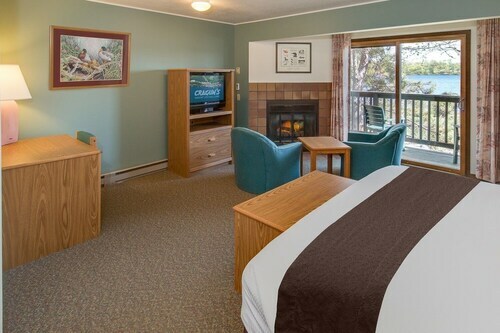 The Classic at Madden's Golf Course and Nisswa Family Fun Center are also within 9 mi (15 km). Nestled on the beach, this Brainerd property is 1.1 mi (1.8 km) from The Classic at Madden's Golf Course and 2.7 mi (4.4 km) from Legacy at Cragun's. Cragun's Legacy Courses and Mount Ski Gull are also within 9 mi (15 km). 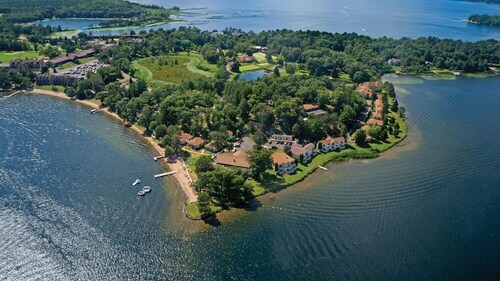 Nestled on the beach, this Nisswa resort is within 1 mi (2 km) of The Pines Golf Course and Nisswa Family Fun Center. Nisswa City Park is 3 mi (4.8 km) away. 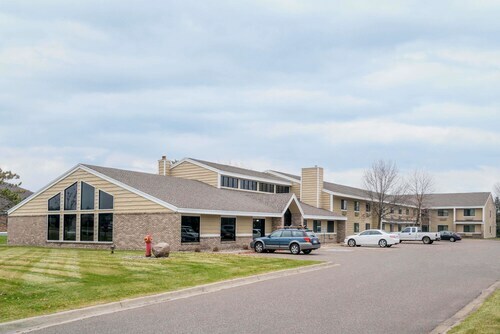 Located in the heart of Baxter, this hotel is 1 mi (1.6 km) from Northland Arboretum and within 6 mi (10 km) of Brainerd International Raceway and Buffalo Hills Park. North Central Speedway and Cragun's Legacy Courses are also within 9 mi (15 km).